Ahhhh! So I know I’ve been away from my second love (WordPress) for quite some time. Life has been… interesting to say the least. My first love is butter, if you don’t know me well enough by now. Still need to make a post about my bday but that shall be derailed from my post(s) today. But I won this contest I entered two months ago and received the email yesterday. 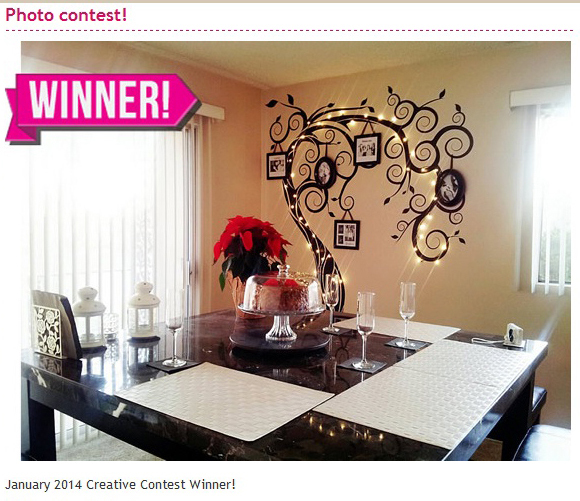 Prize is a $200 gift certificate, but I’m just ecstatic my creativity was recognized. I shall be posting two new stories soon. One is a little on the not-so-happy side, and the other of something I currently have and cherish to no extent. I’ve been working on my stories but work has been a bit more hectic than normal. I’m sure I’ve missed a lot from being MIA, but I will be getting to that tomorrow. All I can say is, dream. Dream big and spread that vision into your life because it is so short and fleeting. congrats britt. it’s nice to see one getting recognized for the creativity. Thank you, Don. The recognition is a nice feeling. I’m still shocked and humbled by the experience. That’s way cool; the room and the win. Congrats!!! I took a chance. You know my luck of never winning anything (evident of the scratchers on my table), haha. The writing has been happy for the most part so I didn’t want to disturb the peace. But one of the stories has been on my mind for awhile now. Just didn’t have the chance to form it in the way that I wanted. Congrats! It’s awesome to win things of this nature. :smile: It’s well deserved. I’ve learned that it pays to be creative and it pays to enter contests, even if you don’t think you’ll win. They’re nice little surprises that make us feel good. I hadn’t entered a contest until the day you sent me that link for the giveaway. Then I stumbled upon this interior design one and I thought I’d give it a shot. Funny how things work out that way. 🙂 Surprises sure are nice. I’m glad you won. It’s a nice treat! You are so deserving Brit, and you are so gifted in so many areas and ways…I would have been disappointed if you did not win, but either way you still would be a winner in my book my sister! Keep the smile going!!! You are awesome! That award is every bit deserved! The decor you crate and surround yourself with is a vivid example of the wonderfully whimsical mind that guides your hands. Can’t wait to see what you create next. Bedroom is the last step. Maybe the kitchen will follow but that’s a mess in itself. It has this french theme going on but I dunno… I’ll send you pictures someday… or a video. It was the first place I decorated when I moved in but my touch and taste for design has grown a lot since then. I’m not sure, but it’s probably for their website so I can buy more wall decals. *shrugs* Haven’t received it in the mail yet. Didn’t do it for any other reason than for recognition. Prize comes in second. And yes, that would be a bit of a way to travel. 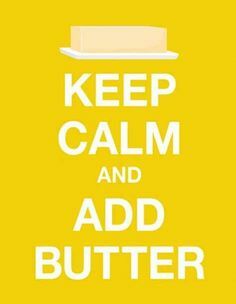 😛 There’s a running joke that my first love was butter. I actually do like butter a lot so my close friends rib me for it. 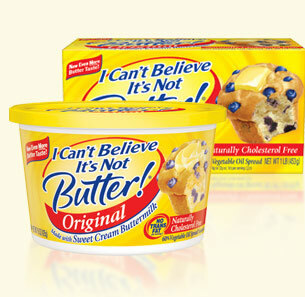 I like real butter, not the fake “I can’t believe it’s not butter” stuff. Bravo !!! … so happy for you. I was a lot of time off wordpress, too, and of posts … Well, take a pic at my blog, there are new pictures and poetry. Kisses !!! Can you come be creative in my house : ) Your creativity is breathtaking. I’m adding this to my journal as a quote from you “All I can say is, dream. Dream big and spread that vision into your life because it is so short and fleeting.” stunningly beautiful! Where’s the gift certificate to? And as far as butter . . . I too love butter! It’s to their website so I can get wall decals. I live in an apt that doesn’t let me paint my walls so I have to come up with ways to decorate but not have it be permanent. Oh man…. butter. I put it in everything, lol.